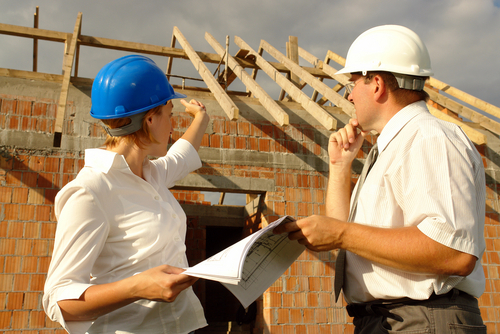 During roof installation, our company Associate / Estimator and the job site supervisor will be the one you need to talk with regarding any concerns or questions you may have during the roofing process. They are highly skilled and qualified in every aspect of roofing. Our site supervisor will introduce himself the first day on the job and give you a brief description of what we will be doing. Our clients are assured the roof installation process is performed in a professional and quality manner. From minimal noise and vibration to leaving your property just the way it was before the projected was initiated. 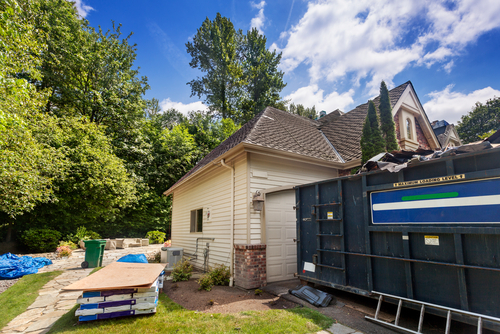 If your old roof is being torn off, we will be placing a full size dumpster or dumpster trailer as close to your home as possible to minimize debris falling in your yard. We will also have several trucks near your home. We will do our best to keep access open to your driveway. This may mean that we will have to park one or more trucks in front of your neighbor’s home. If you are concerned that your neighbors will feel inconvenienced, you may want to notify them of the work being done so they are prepared. During the roofing process, as with any construction project, there will be noise both inside and outside the house that you are not accustomed to. We will be using electric and pneumatic powered tools, along with some hand tools. While work is in progress, we will be loading and moving material and performing other operations that will cause vibrations to the interior walls and ceiling of your home. We are very careful and respectful of your property, but total elimination of vibrations is impossible. If you feel that this vibration would cause any disturbance of pictures or light fixtures such as ceiling fans or chandeliers, you should remove those items from the walls / ceiling to prevent damage. Our site supervisor or associate will be happy to assist you if needed. There will be debris from any construction project. Most debris comes from a tear off. We try very hard to make sure that all debris is removed from the area the day we tear off, and again when we are finished with the project. We ask that you take precautions while we are there and stay clear of the debris until we have had a chance to remove it. Once we have left, we recommend you inspect your yard for any small nails or wood prior to mowing. We thank you for taking the time to let us inform you of the roofing process. We pride ourselves in making this process pleasant, rewarding, and educational for our customers from the very first phone call to the time the job is completed.